See You at the Pole 7:00 am – This is a student-led prayer time around the flagpole that is a global activity. Students and parents, please bring a breakfast item to share and come to the cafeteria for a quick breakfast at 7:00 am and then gather around the flagpole at 7:15 am to pray for their school, friends, churches, and community. All Middle School Field Trip to Elizabeth Homecoming Parade 12:00 pm to 2:00 pm. We know how proud you are of your children and some of you take a lot of pictures. We are always looking for images to put in the yearbook of our students at all of the Legacy events, in the classroom, sporting events/practices and 1st day of school. Please email them to jessicca.marks@legacyk8.org. Fall is here in a big way. It is so great to see the children of Legacy smiling their way through their school day. It is such a great honor to impact your children through education and character development. A huge “Thank You” to all of you who helped make our Patriot Observation a great success. The students are learning the important lesson of honoring those who care for us in our community as well as the privilege to live in America every day. If you are a working family who has difficulty getting your volunteer hours taken care of during the school year, we are looking for a team of people who would be responsible for keeping our property mowed and trimmed throughout the fall. We could really use some people with a tractor and brush hog (field mower). Please email Ms. Anne if you would like to be a part of the team anne.stanley@legacyk8.org. See You at the Pole 7:00 am – This is a student lead prayer time around the flagpole that is a global activity. Students and parents, please bring a breakfast item to share and come to the cafeteria for a quick breakfast at 7:00 am and then gather around the flagpole at 7:15 am to pray for their school, friends, churches, and community. Picture Retakes and Fall Sports Photographs/All School Dress of Choice. Students will have a chance to take their photograph if they missed initial picture day or retake a photo that was unsatisfactory. Please send back original photo if your child is going to retake. We will take sports team photos for Volleyball, Soccer, and Cross Country. Please make sure your student has their uniform as well as shoes and socks for the photograph. Elementary ROAR Assembly 8:15 am in the cafeteria. Silver Spoon Award 2:00 pm in the cafeteria. Students who won the drawing award for ROAR will receive a special treat to eat with the administration. Sixth grade departs for the Outdoor adventure trip to Estes Park. Hearing and Vision Screening for kindergarten through third, fifth, seventh grades and all students with I.E.P’s and 504’s. If your student wears glasses, contacts or hearing aids please make sure they have them. Sixth-grade Outdoor Adventure Trip returns. PTCO General Meeting 5:30 pm in Mrs. Baird’s art room. Free Childcare provided for PTCO meeting only. LA Governing Board Meeting at 6:30 pm in the computer lab. Spelling Bee parent meeting 3:30 pm to 4:00 pm. This is for students fourth through eighth grade. Hat Day $2.00 students can wear a hat as well as a dress of choice for $2.00. Parent-Teacher Conferences from 4:00 pm to 8:00 pm by appointment only. Teachers will send out an email to sign-up soon. Elementary teachers will be in their classrooms. Middle school teachers will be in the gymnasium. No School/Fall Break /Parent Teacher Conferences from 8:00 am to 12:00 pm by appointment only. Teachers will send out an email to sign-up soon. Elementary teachers will be in their classroom. Middle school teachers will be in the gymnasium. All school “Dress of Choice” School students are allowed to wear their own clothing as long as it meets the dress code guidelines. Picture Retakes and Fall Sports Photographs/All School Dress of Choice. Students will have a chance to take their photograph if they missed initial picture day or retake a photo that was unsatisfactory. Please send back original photo if your child is going to retake. We will take sports team photos for Volleyball, Soccer and Cross Country. Please make sure your student has their uniform as well as shoes and socks for the photograph. Nerf Night/ Concessions 6:00pm – 8:00pm in Legacy Academy gymnasium! This is an excellent time for families to play together. Parents are encouraged to play! Ages 7 and up (6 yr olds may play if a parent is in the gym with them at all times, but all parents should stay for the event). The cost is $10.00 per person. Students may not bring their blasters to school during school hours. Bring your own blaster to the event. Do not bring darts or discs. Protective eyewear is provided. Parents will be required to sign a waiver prior to this event, no exceptions will be made. The waiver will be available at the office during school hours or at the event. If any questions, please email LABOD@legacyk8.org. Wednesday, October 31 ~ Happy Halloween! Dress In Bronco Colors for $2.00. 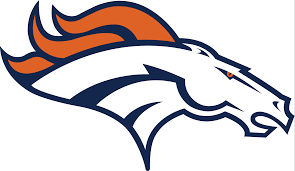 Students can pay two dollars and dress in their orange and blue to support the Denver Broncos. Students can wear jeans, no uniforms required if students participate. A team of Legacy staff members will be competing in a Donkey Basketball tournament this Friday (9/21) at 7:00 pm at EHS. Tickets can be purchased up until this Wednesday for $7.00 (see Mrs. Kieca-Blakeslee at Legacy or visit EHS to purchase), or they will be $10 at the door. Come laugh at and cheer on your Legacy team! We are still in need of volunteers to help with Hearing and Vision Screening which is scheduled for Wednesday, October 3, 2018, from 8:00 am until 3:00 pm. We will train you if necessary! If you are interested in volunteering please email Catie.Hayes@legacyk8.org. We wanted to remind you of our illness policy as stated in the Student Handbook. A sick student must be picked up within 30 minutes of the school’s contacting the parent or a designated adult. The school does not have space or the staff to keep students who are contagious or are unable to participate in the academic program. If your child shows signs of illness at home, please take the time to assess their situation. Any child with a temperature of 100 degrees or above, coughing excessively, or experiencing nausea or vomiting, should be kept home. Please remember that they should be fever free and not have vomited for 24 hours before returning to school. The staff at Legacy Academy wanted to say a special thank you to some local businesses and our PTCO. A company in Highlands Ranch, The White Lotus Tatoo Shop collected a multitude of backpacks and nonperishable food items to give to children in need in the Elizabeth area with Legacy Academy as one of the schools to receive this gift. We are grateful for the abundant donations. Cowboy Coffee in Elizabeth provided coffee for the Donuts with Dad, an event to launch the new year of WATCH D.O.G.S (Dads of Great Students). Also, ECCO, Elbert County Coalition Outreach in Kiowa donated backpacks filled with school supplies for the start of the school year for families in need. 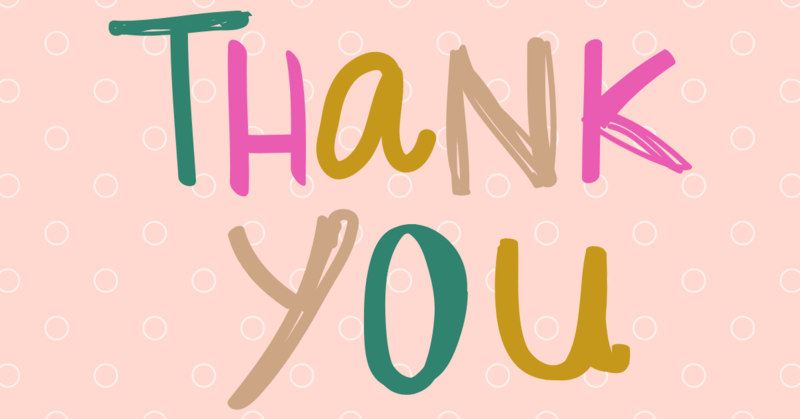 And lastly, a big thank you to our PTCO for providing breakfast from a local restaurant Sweet Alfas on the first day of school. The meal was greatly appreciated and very yummy. Due to lack of interest, there will not be cheerleading offered at this time. Monday Minecraft first session begins 3:30 pm – 5:00 pm Computer lab. Must have signed a permission slip to attend. Parent meeting for Girls Cheerleading at 6:00 pm in the cafeteria. If you have a middle school girl interested in cheering for the girls and boys basketball season, please plan on attending this meeting. If you cheered last year and want to continue, please make sure you bring your bag, shoes and full uniform to this meeting. Patriot Day Observation 8:00 am in the gymnasium. Please invite all your friends and family who serve or have served our country in the armed services, firemen, and women, nurses, doctors, police officers, teachers etc. to our celebration! All children involved in a community service oriented club may wear their uniforms including Girl and Boy Scouts, AWANA, ROTC, etc. on this day. We are still looking for donations of brunch items for our celebration. All donation costs and time count towards volunteer hours. Please bring in disposable containers, or label your containers with the first and last name. Wednesday Minecraft first session begins 3:30 pm – 5:00 pm Computer lab. Must have a signed permission slip to attend. Ice cream can be purchased for $1.00 cash or change at lunchtime. Nerf Night/ Concessions 6:00pm – 8:00pm in Legacy Academy gymnasium! This is an excellent time for families to play together. Parents are encouraged to play! Ages 7 and up (6 yr olds may play if a parent is in the gym with them at all times, but all parents should stay for the event). The cost is $10.00 per person. Students may not bring their blasters to school during school hours. Bring your own blaster to the event. Do not bring darts or discs. Protective eyewear is provided. Parents will be required to sign a waiver prior to this event, no exceptions will be made. The waiver will be available at the office during school hours, use the link below or at the event. 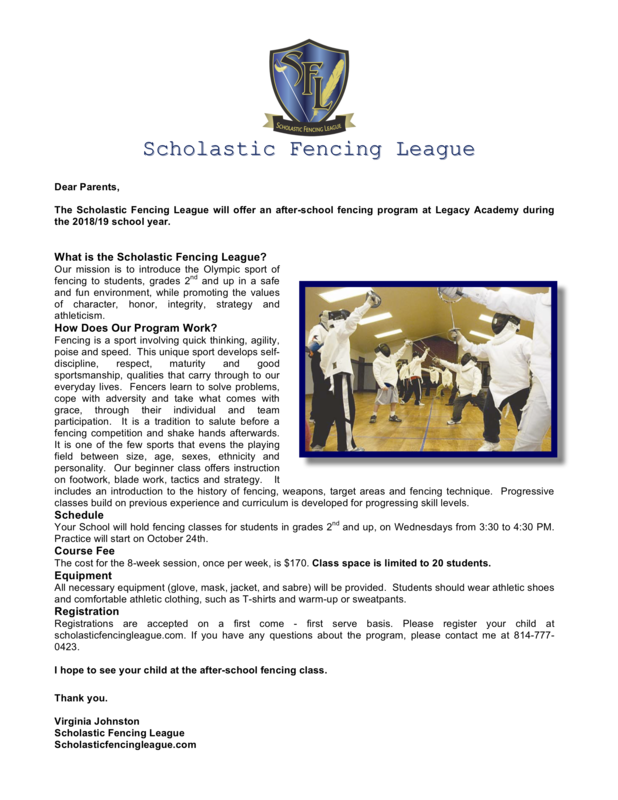 If any questions, please e-mail LABOD@legacyk8.org.